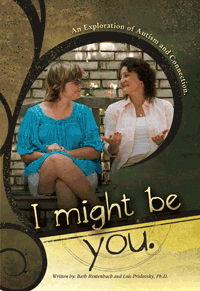 The creators of Mule and Muse Productions, Barb Rentenbach and Lois Prislovsky, Ph.D. welcome you. Barb is a contemplative which means she spends most of her time thinking about things that are not present and observing that which is. It is a tidy job, but somebody has to do it. Her advanced autistic mute degrees make her more equipped than most for this calling. Lois is an educational psychologists with real world stamina and training. Their world views are different, but together they work with psychology and lots of trial and error to discover much about friendship, autism, and more. Their work illuminates the value of paying much more attention to individuals with fresh perspectives. They team up now to help others find purpose, connection, equality, and joy. Mule and Muse Productions, LLC is a company whose mission is to project fresh voices of wit and wisdom. 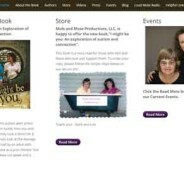 The book I Might Be You: An Exploration of Autism and Connection is the first of many productions to come. They invite you to join them in minding thy heart to mine thy mind. A radio show hosted by an autistic mute? Why not! The creators of Mule and Muse Productions, Barb Rentenbach and Lois Prislovsky, PhD, welcome you to “Loud Mute Radio”. Check out their audio podcast in iTunes.